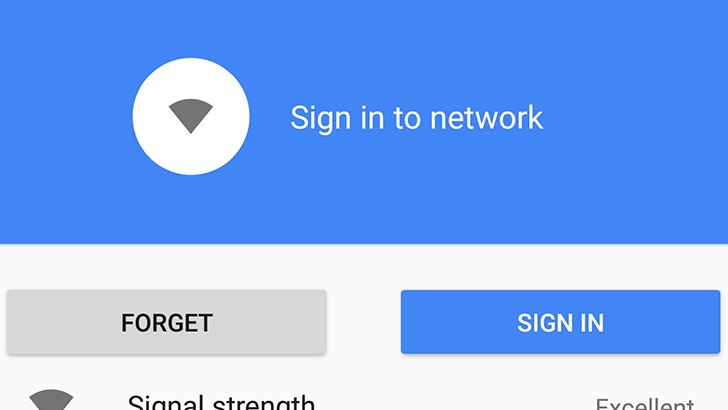 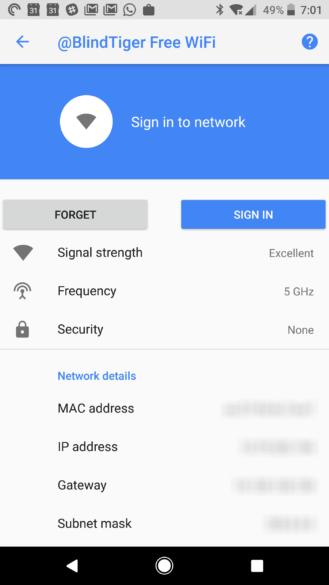 While the 'Sign in to network' notification hasn't changed at all with Android O, the Wi-Fi section of the Settings now has a large button to login when viewing a Captive portal network. In earlier versions of Android, the network info shows 'Sign in to network' as the status, but tapping on it doesn't do anything. 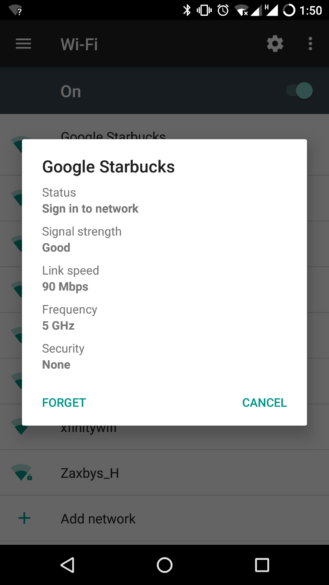 Not a huge change by any means, but definitely helpful when you're trying to figure out why the Wi-Fi isn't working. 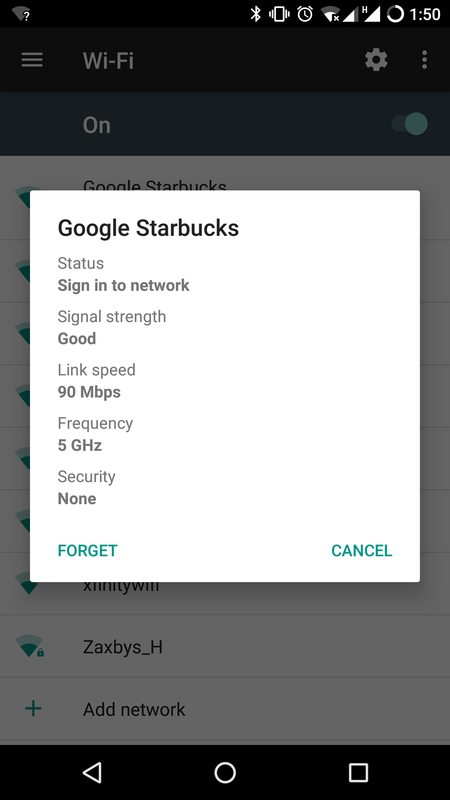 On a similar note, the new network info screen is much nicer.